The setlist is not in the right order and is almost certainly incomplete. I don't recall where we received it, but "Blackhole" and "Puttin It Down"? Hmm. 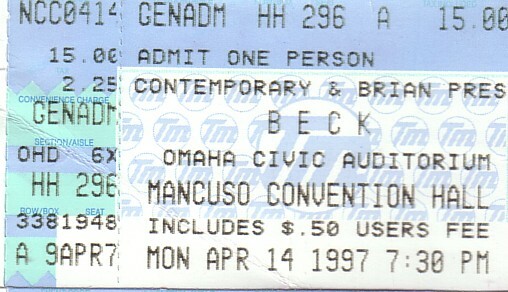 In addition to the songs listed, Beck also played an acoustic set.